Proportion your beliefs to the evidence you have for them, and expect no less of others. As with love, if you doubt something, set it free. If it finds a footing in the spaces of your mind, it is yours to believe with true conviction and joy. Imagine that you were born into an exclusivist sect of fundamentalist Christianity, as was a certain “brother in faith” whom you have known for years, possibly a lifetime. 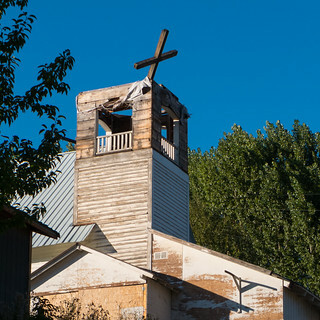 He raised his numerous children there along with yours, wrote articles about Luther for the church’s monthly newspaper, taught Bible Class and Sunday school, frequently offered comments during church discussions, occasionally stood in the back of the church at a microphone, leading the congregation in its singing of the beloved old songs. All was well until a few years ago, when you heard some whisperings about doubts he had expressed. But a meeting was held and the gospel of forgiveness was preached. Carry on; offer the greeting of “God’s Peace,” if a bit hesitantly. Then, suddenly, this brother does the unthinkable: self-publishing a book that candidly and irreverently examines the teachings, history, and problems of “God’s Kingdom,” in hundreds of carefully referenced pages. He turns out not to be a mere doubting Thomas, but a Judas. If you’ve had doubts of your own, you may be tempted to sneak a peek or two at the book’s online version, as thousands of people have now done. You may come back to the website from time to time, checking out this or that issue that has nagged at you, confirming with morbid fascination that, yes, it is a real problem and not just a doubt arising from your personal failings as a weak believer. If your doubts go far enough, or if you have completely left the faith but remain interested, you might go so far as to obtain a full copy, in ebook or print. But what you almost certainly will not do–cannot do–is accept the book as an honest assessment of your faith, not if you want to retain it unscathed. The claims you have grown up hearing as a “child of God” (what a self-designation!) are sadly incompatible with the facts outlined in the book, on point after point. So, if you wish to remain “believing” while lacking any substantive response to these points (and I have heard none), you basically have three options. You can avoid reading any more of the book, ignoring its existence as much as possible. You can resort to the old catch-all excuse that “faith” cannot be understood by reason. (In other words, anything goes!) And if none of that helps, you could just dismiss me and my research. People who feel threatened by the justification they lack for their professed beliefs have a strong need to point at an enemy. 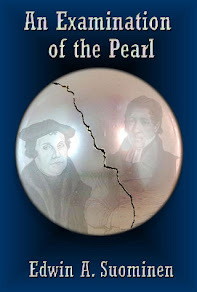 Since writing An Examination of the Pearl, along with a few blog postings critical of Conservative Laestadianism here and on extoots.blogspot.com, I’ve been called plenty of things by the faithful: blind, crazy, false prophet, tool of the devil, and a pretender at being another Luther. Regarding that last one, let me assure my former brethren in the Laestadian Lutheran Church, which takes its name from two upstart leaders of rebellions against the established church of their day, that one Luther was quite enough. I have no interest in trying to be another. Certainly, I admire the man, though not so much the grim and creepy Laestadius. But there are some pretty unsettling things about Der Reformator, too. 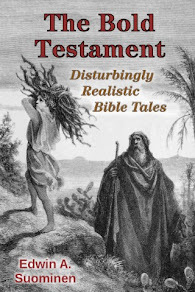 He labored under a slavish devotion to biblical literalism. In his later years, he oozed anti-semitism and authoritarianism. I’m just some guy who knows how to research and write, and is no longer subject to being intimidated out of saying what I think. That’s it. Unlike Luther and Laestadius, I’ve never been at risk of my life or career, claimed divine revelation, had visions of the devil, or started a rival religious movement. All that I’ve offered is the honest product of devoting a year of my life to full-time research of my inherited religion. After thousands of hours of effort, after the gut-wrenching anguish of seeing a once-cherished faith crumble to dust before my eyes, would you expect anything less than my candid assessment of things? No more theses wanted here. We’re good now. On this point, at least, I am willing to let the church’s defenders claim that I want to be compared with Luther. Perhaps they should consider where they stand. So, to those selling the modern-day indulgences of forgiveness for manufactured guilt, and to those handing over their valuable currency of intellectual honesty and a lifetime of foreclosed options, I present my own 95 Theses. You are free to write your own. Grab a readable Bible translation and some history books, and go to it! 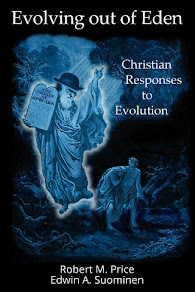 As a bonus, here is the entirety of my “religious” teaching, which is hardly original: Proportion your beliefs to the evidence you have for them, and expect no less of others. As with love, if you doubt something, set it free. If it finds a footing in the spaces of your mind, it is yours to believe with true conviction and joy. The church door image was adapted from a CC-licensed photo by Michael Elleray. Check out my interactive 95 Theses here There is also a plain-vanilla version for mobile devices and tablets. Fairness calls for me to mention a positive development countering the tendency of church members to demonize critics: The remarkable presentation given at the LLC’s 2014 Summer Services, “Approaching Another Person.” I was happy to give credit where credit is due in my essay “Open Dialogue over the Faith Boundary,” posted August 2014.